E-Truck Leasing is now exclusively using the Truck Wash Guys for their washing needs. As many of you know our customers in the truck leasing arena have included; Tip Trailers, Ryder leasing, Ruan Leasing, Penske Leasing, UPS Truck Leasing, Rollins Truck Leasing and others. Now we are working with the leading consulting firm in the nation based out of Dallas and Houston. 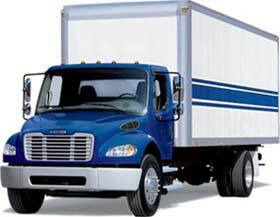 E-truck Leasing provides all kinds of leasing consulting and leasing services to nearly every industry. Whether it is specialty equipment such as Mobile Truck Washing Trucks, straight trucks, tractor trailer rigs or delivery units, E-Truck Leasing is there every single step of the way. The Founders of the company are both sons of Full Colonels from the USAF serving this great nation in past wars. Which is similar to The Truck Wash Guys founder, Lance Winslow, who is the son of a US Naval Captain and CEO of a Naval Squadron during the Cold War. The Founders E-Truck Leasing have nearly 50 truck leasing experience between them including working with Rollins, UPS Leasing, GE Leasing Services and Penske Leasing. These guys mean business and so do we. When it comes to the cleanest leased trucks in the Industry and a team that means business, we are it. Together we will win your business. All you need is dirt, we supply the rest.